Drug and substance addiction plague more than meets the eye. For some, addiction can harm quality of life for several months—even years—before a person seeks or receives the help they need. A comprehensive treatment experience with Summit proved all the difference in the world. Summit Behavioral Health, with two area locations in Princeton Junction, N.J., and Doylestown, offers several types of programs. These include Partial Care/Hospitalization, Intensive Outpatient, Outpatient, as well as Medical Detoxification and Residential Treatment at their other locations in New Jersey and Massachusetts. Summit treats everything from alcohol to drug and prescription abuse, as well as co-occurring disorders. 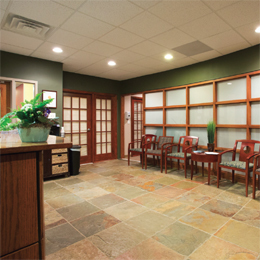 And their approach to their treatment is unlike anything most clients receive elsewhere. Kassar says Summit takes a personalized treatment approach to empower change in individuals seeking help. She says this integrative treatment model encompasses medical, clinical and holistic services that are offered within Summit’s continuum of care and based upon the client’s individual needs. Such was the case for the client in his 70s. “He was engaged in the family programming, so not only did he receive the treatment and help he needed, but his wife also received a lot of support,” Kassar says. “We worked with him individually on sobriety and helped him understand the triggers for his alcohol use. His needs for ongoing recovery were able to be met by continuing to participate in Summit’s aftercare program.” Kassar says that clients need a period of sobriety to join that group. “He just recently left us, and he’s doing great,” she adds. Clients at Summit Behavioral Health receive the full gamut of treatments, but more importantly, individualized approaches aimed at resolving the underlying trigger or triggers behind each client’s particular substance abuse problem. Maria Ulmer, chief clinical officer at Summit Behavioral Health, says clients are often admitted through referrals from community providers as well as internet searches, all greeted by the Summit admissions team. After speaking with a prospective client, an admissions coordinator assists them in scheduling an assessment at one of the treatment programs based upon their substance use history and presenting problems, with the highest emphasis on meeting the individual’s needs. Part of the process includes something Ulmer refers to as pharmacogenetics— a genetic testing method that enables Summit’s medical providers to examine a client’s genetics and how their bodies metabolize different types of medications. These medications, she says, can range from antidepressants to pain medications—even Tylenol. Ulmer adds that the Summit team also works with co-occurring disorders—an offshoot of substance abuse. Kassar, who works at the Doylestown location, also recognizes co-occurring disorders among clients. While Kassar mentioned a recent client in his 70s, she emphasizes that substance abuse plagues a plethora of age groups. Kassar and Ulmer say Summit treats anyone from adolescent teens to young adults ranging anywhere from 18 to 25 years of age to those 40 years of age and older. “We have programming that is suited for each age range,” Ulmer says, noting she has observed an increase in the number of patients received with heroin addictions. “There’s a huge heroin epidemic taking New Jersey by storm. We’re seeing these young adults struggling to get past this disease and get on with their lives, and many aren’t able to overcome this because the addiction is fatal. It’s our job to strategize ways to see that clients can get past this. In addition to the cutting-edge care Ulmer describes as “breaking away the barrier stand- ing between the person and getting the help they need,” Summit Behavioral Health boasts a beautiful facility accented with essential oils and aromatherapy used to create positive energy and relieve anxiety. She says the space is open, warm and safe, as op- posed to one featuring a sterile, hospital-like setting. Summit continues to exceed client expectations while simultaneously continuing to grow as a facility. According to Kassar, the Doylestown location will be introducing a program in early April specifically targeted for eating disorders in women. The program will remain holistic and individualized, thus similar to other programs offered through Summit. Kassar hopes the program will someday expand to include men. For more information on Summit Behavioral Health, call (844) 643-3869 or visit SummitBehavioralHealth.com. Published (and copyrighted) in Suburban Life Magazine, February, 2017.